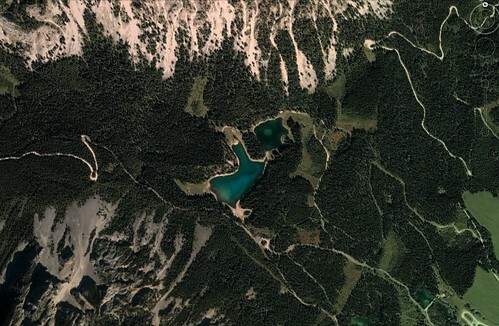 April 2011 – Where On Google Earth? Are you any good in these contests? If so, you probably are interested in a new puzzle book that will be released this fall. 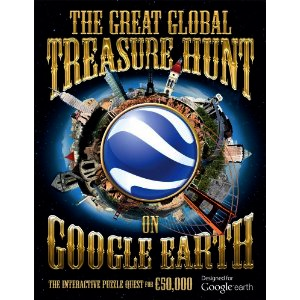 According to The Telegraph, a ‘ferociously complicated’ new puzzle book will give users clues to find places on Google Earth and lead them to a €50,000 prize. 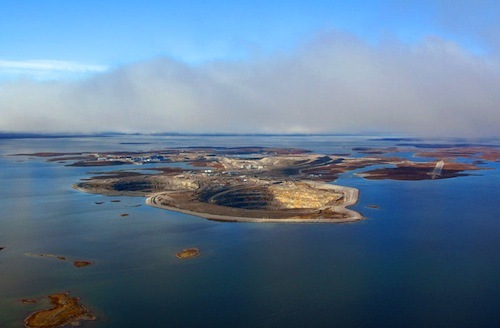 This is the Diavik Diamond mine in Canada, located on a 20 km2 island in Lac de Gras, 300 km NE of Yellowknife. 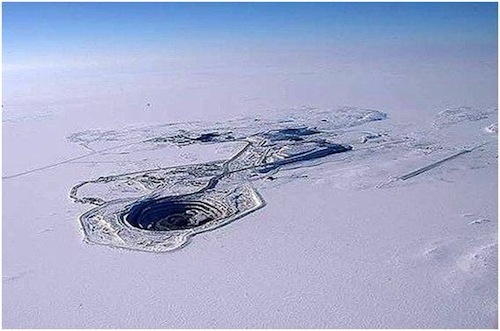 Mining begun here in 2003 after the discovery of diamonds in the early 1990s. 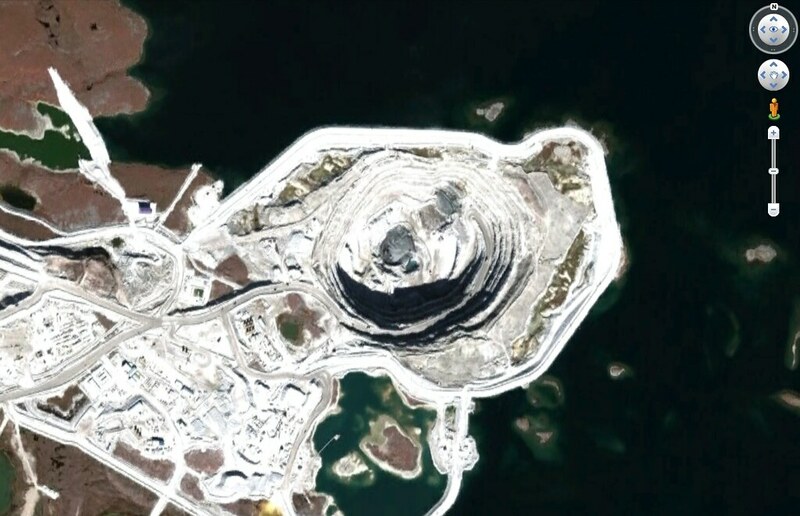 The mine is currently in a transition from an open pit mine to an underground mine. If you are female: you can find your best friend here. 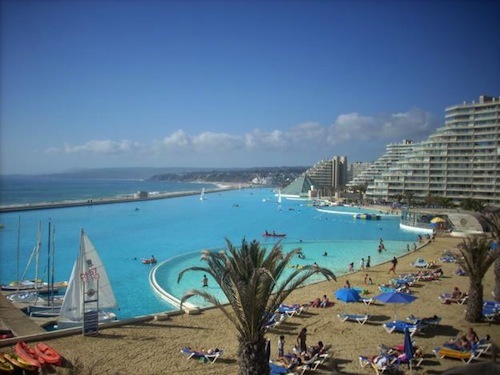 This is the largest swimming pool in the world according to the Guiness Book of Records and it is part of the San Alfonso del Mar resort in Chile. Well, that was not too difficult (as a compensation for last week…) and we have a new record of right answers: a whopping 69 right entries this week! Yup, it is the largest in the world. 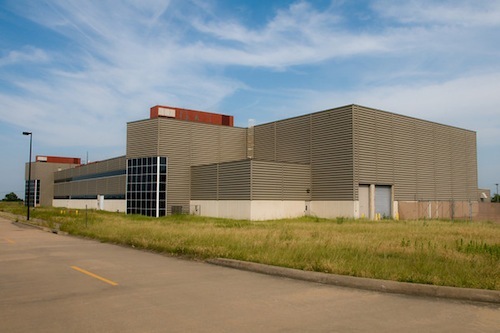 It was supposed to compete with (and outclass) the Large Hadron Collider (see Contest #114) and it is located a few miles west of Waxahachie, Texas. 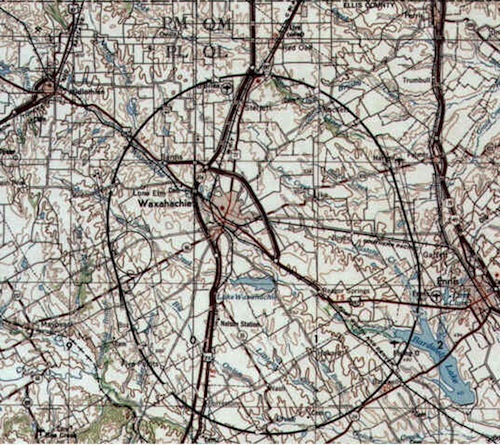 It was designed to operate at 20TeV per beam (The LHC at CERN is 14TeV) and the ring should be 87,1 km long (LHC is 27 km). 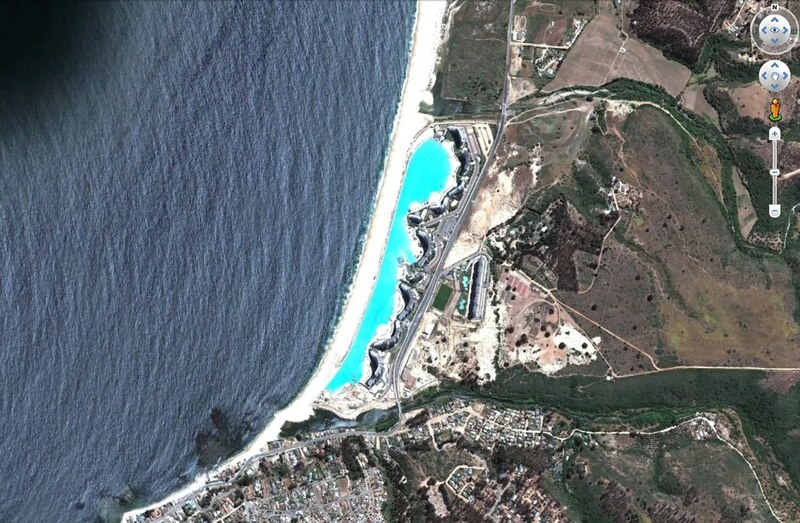 Construction began in 1991 but the project was cancelled in 1993 after the total estimated project costs had risen from $ 4.4 billion to over $ 12 billion. Kudos for steve and Falco for finding it without the hint. It was not easy this week. This is only a small (but important) part of a very large structure that was never finished.